Honda has already adopted 3D Printing in its welding shop and is planning to expand it across its production line. The 2018 Honda Amaze is the first Honda to use 3D printing. 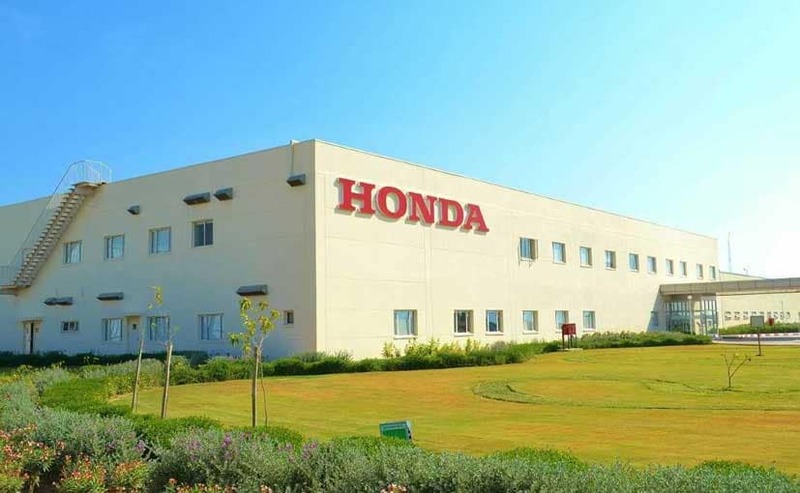 Honda car India is planning to expand it across its production line. Smart Manufacturing is the global agenda of the Industry 4.0 programme which the Indian manufacturing industry is keen to adopt and Honda Cars India is willing to beckon in this process of development. The Japanese carmaker has already started using the 3D Printing technology in the welding shop of both its manufacturing units in India and is working to use it across its manufacturing divisions and assembly lines. On the side lines of the 4th edition of the CII Smart Manufacturing Summit held in Delhi today, Mukesh Manocha, Assistant General Manager, Welding Division, Honda Cars India told carandbike, "Our welding shop has already started using the 3D printing technology and sooner than later we will expand its use across our manufacturing facility." The 2018 Honda Amaze is the first Honda to use 3D printing. According to the company, 3D printing is a revolutionary technology which can help the Auto industry to function more efficiently and at a larger economy of scale. 3D Printing has reduced the weight of the components used in assembling of Honda cars by 70 per cent and has also lowered the cost of welding by an impressive 60 per cent. 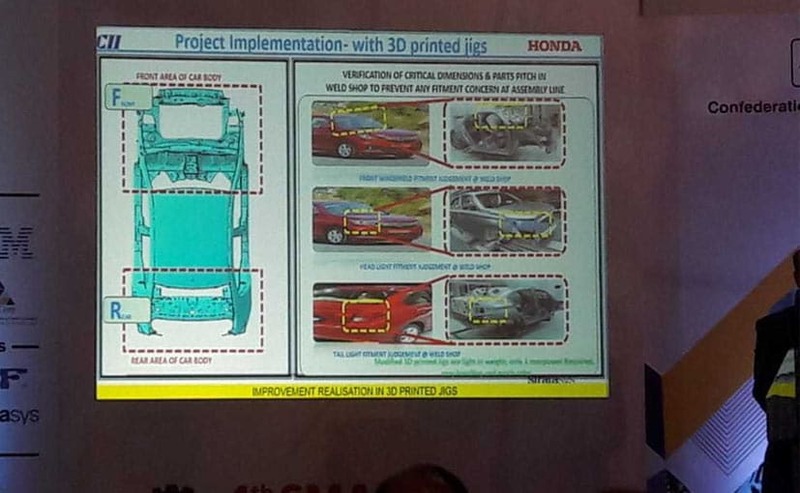 In a presentation made at the event, Manocha showed that the 2018 Honda Amaze is the first Honda car in India on which the company has used 3D Printing. If the entire production line of the Japanese carmaker adopts this advanced technology, Honda Cars India will be able to improve its realizations by a significant margin. "Our workers are happier now as they have to lift light weight and that makes us proud as we care about them. Less physical stress also increases their productivity," added Manocha. 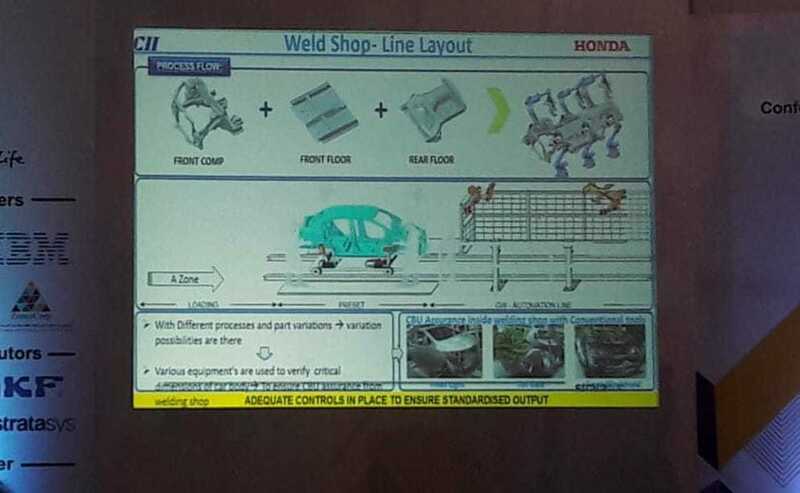 Honda has already adopted 3D Printing in its welding shop. 3D Printing is one of the most disruptive technologies of the digital age. India is still fresh to the idea of 3D Printing which is substantiated by the fact that Honda in Japan has been using this technology for a long time and the India business has taken some time to adopt it. That said, Indian Automakers have started using this technology to develop prototypes of vehicles and eventually it will likely make way to the production of spare parts and gradually in the manufacturing of real models.